Those are some fantastic courses to say the least, in some fabulous locations. As great as they all are, one course stood out and not by just a wee bit either. Scotland’s Cruden Bay left me absolutely stunned. Here are a few picturesque reasons why. The dunes above. What a view. Absolutely stunning. How about the view below, from the 9th tee. It was a hell of a walk from the 8th green up to this point and despite nearly having a heart attack, the view was well worth it! The golf at Cruden Bay is stellar. But it has a fun and very quirky personaly as well. 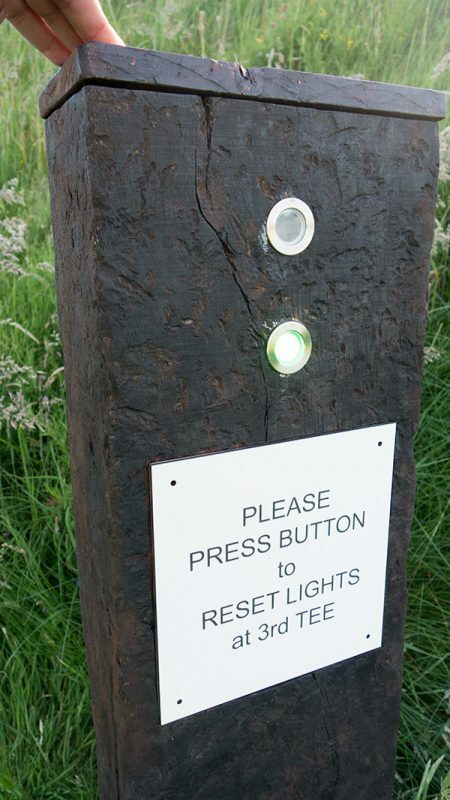 Just ring the bell or push the button on the electric post to let the group behind you know it is okay to hit their approach shot. And because I want to see another money shot, here you go below. This one from late in the day as the sun was setting and the shadows began to really accentuate the terrain. In the photo above you can see a plateau in the background. That’s where the shots I mentioned from the 9th tee were. I’m in love. Cruden Bay is one of the top courses I’ve ever had the pleasure of experiencing. 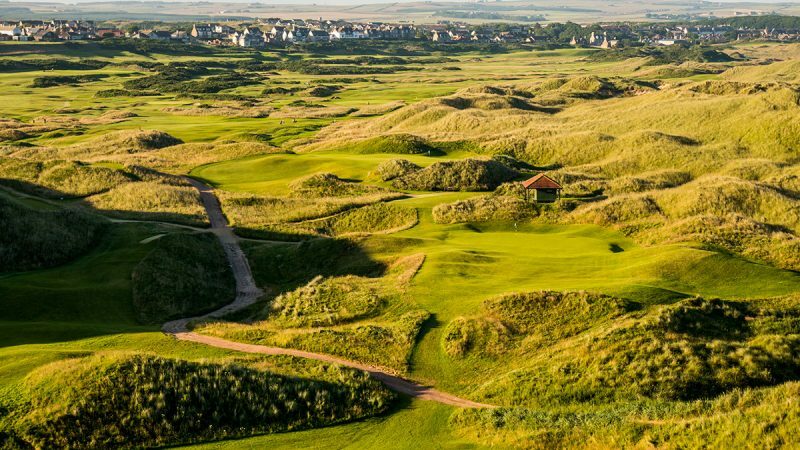 Awarding Cruden Bay the 2016 Best Golf Course Award was a no-brainer, and it was up against Golf Digest Top 100 USA courses on my list. I will be back as soon as possible. What a fantastic course, design, location and the town of Cruden Bay is quite fun as well. 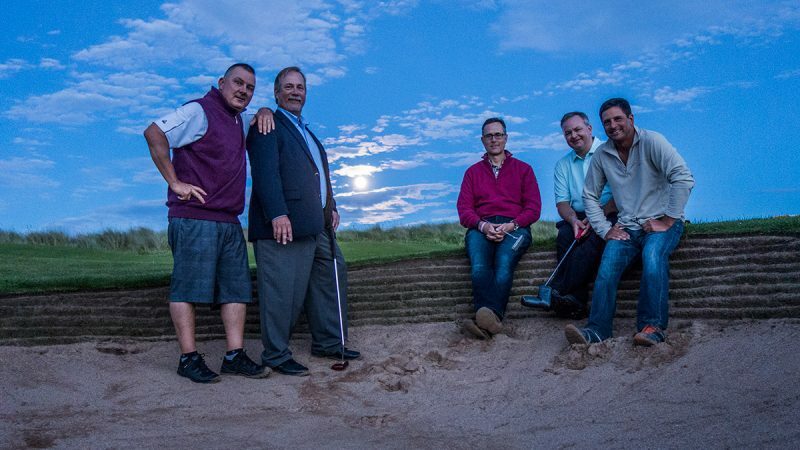 The Lads of Scotland (my golf buddies who converge in Scotland biannually) have a very fun tradition we’ve indulged in each of the (now) three times we’ve golfed in Scotland, midnight putting. 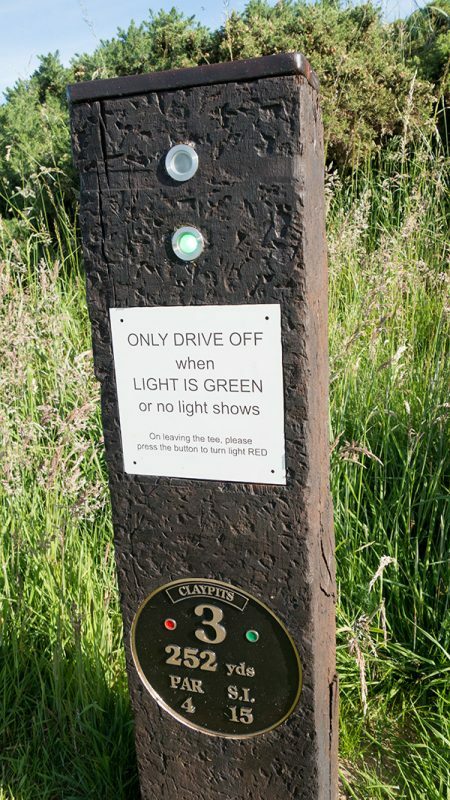 The event usually follows 36 holes of golf, dinner, a few dozen wee pints, cigars, and a wee bottle of scotch. The first two Scotland trips The Lads did the midnight putting event on the Himalayas, the putt-putt green next to the Old Course, and the 18th hole of the Old Course itself. 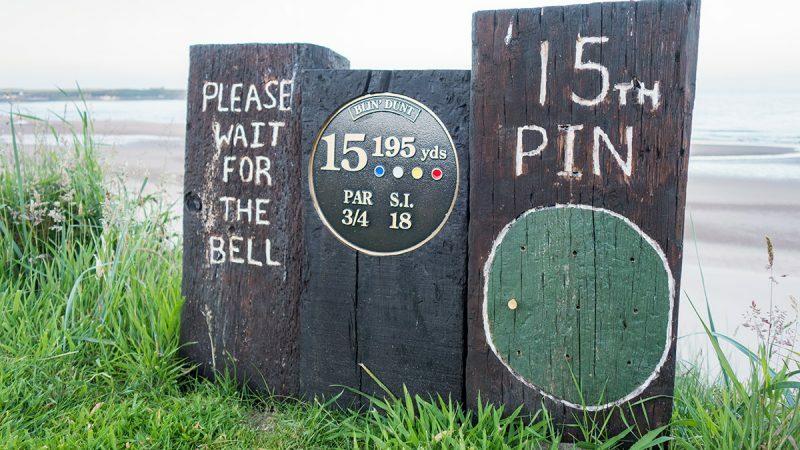 I’m proud to have made a bogey on the 18th at The Old with my putter, in the dark, at 1 a.m.
I’m still catching up with my daily recaps from the HOG World Tour visit to Scotland 1.5 weeks ago. The last post covered the first half of one of the most epic single golf days in HOG history, with a morning round at Royal Aberdeen Golf Club. 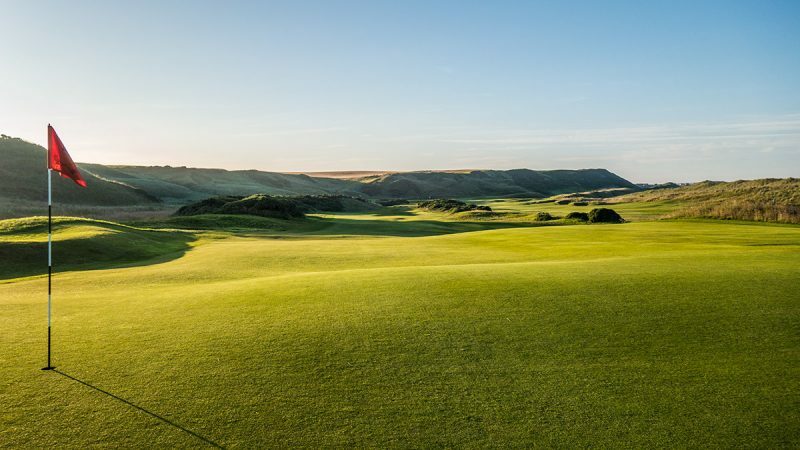 The second half was an evening tour stop at the stunning Cruden Bay Golf Club. STUNNING. Cruden Bay is on the northeast coast of Scotland (map below), a couple of hours or so north of St. Andrews. 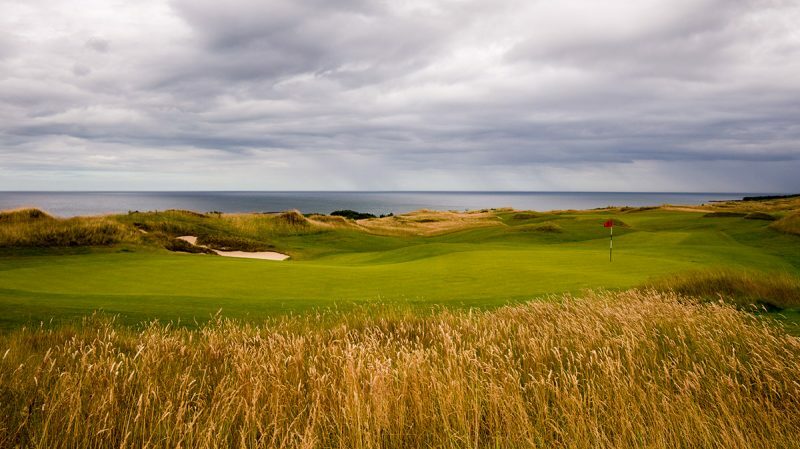 The course is located in the super small and lovely town Cruden Bay, which has an estimated 1,700 residents. While documentation shows that golf was played on the land in 1791, the course officially opened in 1899, designed by Old Tom Morris. The course ranks highly (no surprise) in so many publications I can’t mention them all. A couple include #54 in Golf Digest’s Top 100 and #29 in the world by Golf Cours Architecture Magazine. Just wait until the 2016 HOG World Rankings come out… I feel a top five coming. The course plays to a par value of 70, with a max yardage from the tips of 6,599. The original course in 1899 played to 5,290 yards. 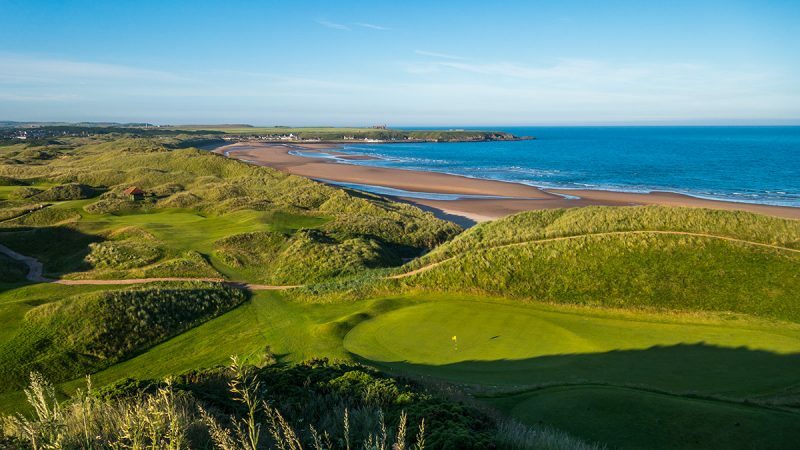 The most unique and memorable aspects of Cruden Bay are its incredible views of the shoreline and the North Sea. From the perch of the 9th tee one can see for miles. It is one of the most amazing views I’ve seen on a golf course, all due respect to Pebble Beach. The dunes and the way the course winds through them is a bit wild and quirky, with many blind shots and oddball bells to ring or buttons to push to let the group behind know it’s okay to tee off (photos below). The tremendous layout, visuals, dunes, shoreline and vibe make Cruden Bay one of the most memorable golf experiences I’ve ever had. I’ll go into further detail on Cruden Bay in a forthcoming review. Stay tuned. I’ve returned from the beautiful country Scotland; a tremendous golf travel adventure with four other “Lads” from the USA and with a few new and old friends in Scotland. I did not have much internet connectivity while in Scotland to post blog entries or photos and that’s fine. 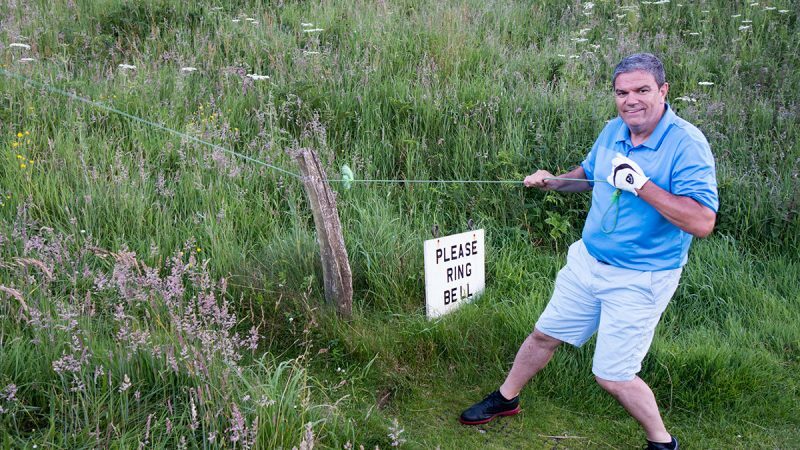 My time was spent on the golf course and experiencing Scotland. I have hundreds of photos to sift through and many memories to share. Those memories will be flowing here for a while. Below are some statistics and a cliffnotes version of the adventure. This year’s trip had two segments: the northeast coast and the Fife area which includes the town of St Andrews and the courses in the area. The Lads also played a warmup round in the Philadelphia area because golfers must warm up the day before playing 12 rounds on 11 courses in Scotland! I did document with detail a day or two of the trip and I will be doing the same for the rest of the days as time permits. My recaps of the trip will obviously not be in chronological order. 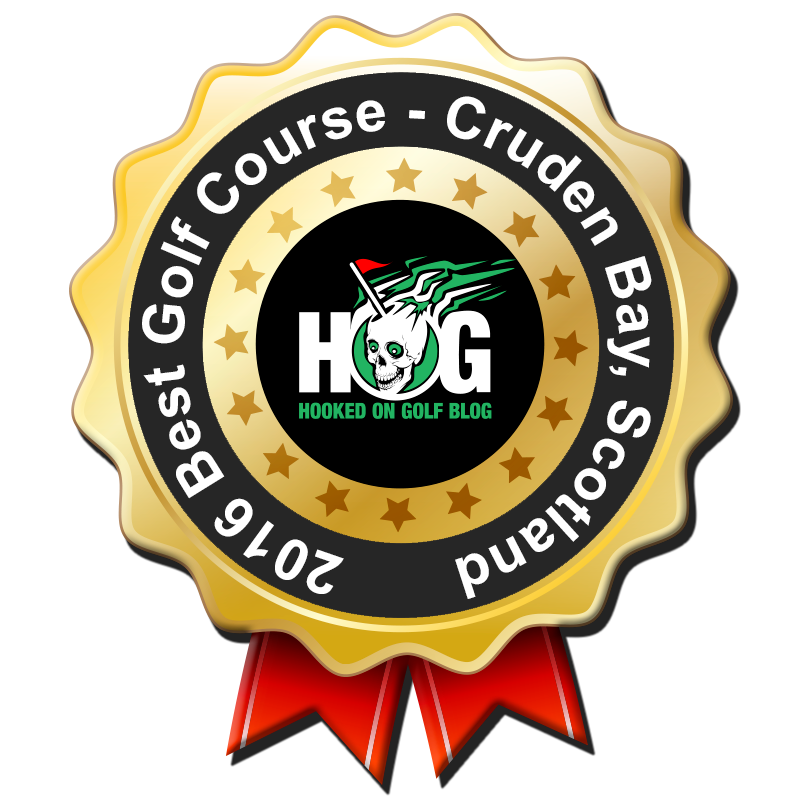 I will surely be posting many shorter random thoughts and photos from the 2016 HOG World Tour trip to Scotland here at Hooked on Golf Blog as well as the HOG Twitter @HOGGOLFBLOG, my personal Twitter @TheGolfSpace, and on Facebook. Stay tuned. If there are any questions you have about any of the courses or Scotland golf in general, ask away. I’ll light up with excitement no doubt.